We can perform a dental cleaning in Long Branch that can help keep your teeth and gums healthy. In our dental office, our number one priority is your lifelong oral health. While most people do not think about their teeth on a regular basis, you should. Staying healthy and keeping your natural teeth intact does not happen by accident. Instead, it takes a concerted effort that includes brushing and flossing your teeth throughout the day, eating a mouth healthy diet and having your teeth cleaned on a regular basis at our dental office. 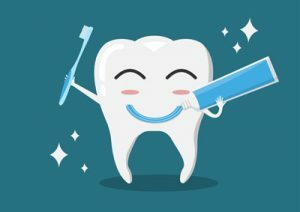 Doing these things will reduce your risk of getting common cavities, infections, and gum disease that can contribute to future tooth loss. Gum disease is a major concern that impacts most adults in some form. Red and swollen gums are commonplace, and they will often go away on their own. However, when plaque sticks under the gums, it can cause gum irritation and inflammation. If that plaque turns into tartar, the condition can become worse and the gums can begin to recede. This is particularly dangerous because as more of the tooth structure and roots become exposed, it is possible to experience bone loss and for the teeth to become loose. When seniors start to lose their teeth, we will be sure to check to see if gum disease is the culprit. The best way to avoid this problem is to receive professional teeth cleanings twice a year. During the cleanings, we can remove the plaque and tartar that patients cannot reach. If gum disease does develop, we will be able to identify and treat it right away by performing a professional teeth cleaning. We can do so before patients have any lasting consequences. It is fairly normal for people to damage a tooth. Whether it is a child knocking out a tooth on the playground or chipping a tooth during a softball game, tooth damage happens all the time. As a dentist, we perform restorations on a regular basis. However, we also encourage patients to protect their teeth in the first place. While one cannot always prevent something like a car wreck, he or she can take steps to help strengthen the teeth. The stronger the teeth are, the less likely they are to sustain damage. Think of it like a frozen pond in the winter. When it is frozen solid, the pond is strong enough to ice-skate on. If it gets one crack, merely stepping on it can cause the ice to break. The teeth are the same way in that a cavity, however small, is more likely to cause damage to a tooth. In this way, regular dental visits can help to strengthen one’s teeth and prevent future tooth injuries. For more information on how you can protect your teeth, call our office and schedule an appointment.